Millennials have long held a substantial amount of buying power, yet this generation often does not get enough credit for being some of the savviest consumers that you need to include in your company’s marketing plans. Not only are millennials active online shoppers, but they also prefer face-to-face experiences that allow them to get the most out of a product or service. 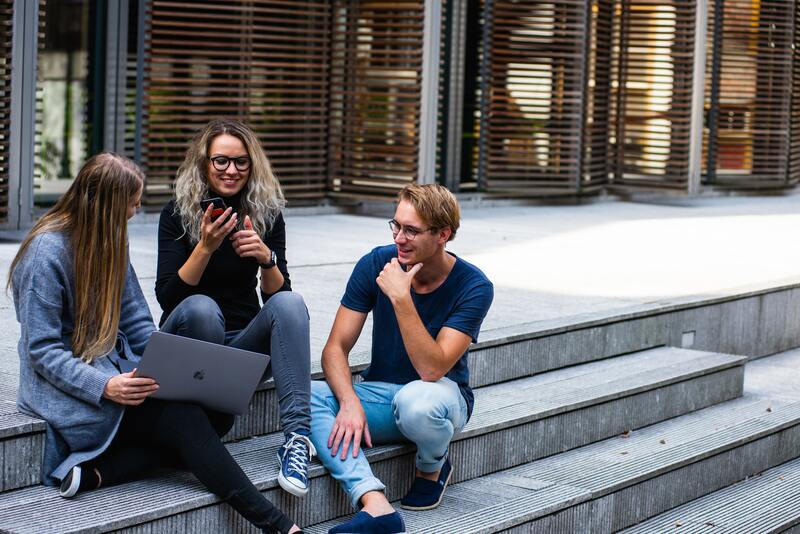 As your company develops its marketing campaign, be sure to use these strategies that are specifically designed to attract and hold the attention of millennials in your target audience. This generation grew up with some of the most advanced technology we have today, and they have come to expect quality when they watch a video. Go through your current marketing materials and eliminate any grainy or outdated video footage. Then, replace it with high quality videos that are short and to the point. As you do, focus on uploading shareable content. Millennials love to keep their friends and family updated on their latest favorite businesses, and a well-executed video campaign can reach hundreds of thousands of people if it gets shared across social media platforms. Although millennials are within the same age range, they have a vast range of life experiences and interests. Avoid creating one, generalized campaign that doesn’t resonate with anyone by dividing your target audience up into segments. For instance, a millennial could be a single adult who is focused on their career, or they could be a new parent that has the primary goal of using only natural products in their household. Consider establishing several smaller campaigns that reach each type of millennial on a more personal level. Millennials are one of the first generations to be able to carry a computer in their pocket. For this reason, you want to avoid exaggerated marketing campaigns that will ring alarm bells among an audience that can do a fact check within seconds. Make sure to highlight what makes your business the best, but keep it true and simple. A millennial appreciates honest statistics that show them how they will benefit from using a product or service. Marketing to millennials also means showing that your business cares about the communities that it serves. Consider contributing to a charity or starting up a cause that your customers and employees can get involved in. Then, share the latest happenings regarding your community crusades with your target audience. This generation loves to feel good about the purchases that they make, and they’ll flock to companies that care about taking an eco-friendly and diverse stance on their business practices. The millennial generation is one of the first ones to prefer to learn more about a product before falling for gimmicky advertisements. Try sharing information that is pertinent to your industry. For instance, restaurants can share recipes on the blog, and a company that produces baby products can share parenting tips on social media. Millennials also love knowing how things are made so give an inside look of your factory or kitchen on a shareable video. Once you reel them in with some insider knowledge, they’ll be more interested in hearing how they can benefit from your company’s products. 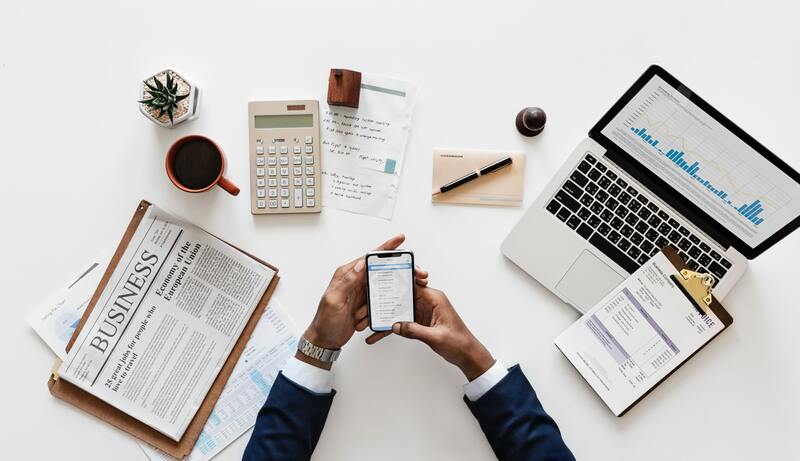 Millennials catch a lot of flack for being more thrifty than other generations, which can pose a few challenges for getting them to buy into using your business. However, the right marketing strategies will work, and you’ll be glad to discover that these are some of the most loyal customers you will ever have once you get them to love your brand. Artificial Intelligence (AI) often sounds like the things that you see in a science fiction movie. However, you come into contact with technology that uses AI every day, and incorporating it into your business plan helps to level the playing field between your small company and larger corporations. As you explore new types of technology to use in your company’s daily processes, keep these benefits of AI in mind so that your small business achieves optimal growth. Technological advances have made it possible for your team to use AI to eliminate those mundane tasks that detract from productivity. For instance, AI software can perform many of the same services as a personal assistant such as scheduling meetings or setting up customer appointments. With these tasks off of their to-do list, your employees can focus on other essential duties that are more important for meeting your company’s goals. Larger corporations often implement huge call centers to make sure that every customer receives immediate assistance whether they are buying a product or have a question about a purchase. For a small, sustainable business, large call centers may not be financially feasible. Once again, AI provides a solution to this problem since you can use software to immediately engage with your customers. Chatbots are a common form of this type of AI technology, and some of the latest software is so advanced that people are often not able to tell the difference between the chatbot and a conversation with an actual human. Data is everything when it comes to analyzing what works for your business. While big corporations have teams made up of people who spend all day performing data analysis, you don’t have to work a bunch of new salaries into the budget. Instead, use AI to perform tasks such as tracking how visitors interact with your website or with your sales people over the phone. Being able to see things such as what web page a customer visits before they make a purchase allows you to streamline your marketing efforts. Social media is one of the hottest places to market your business. Yet, you may not be sure of where to start with making sure that the ideal customer sees your ads. AI software is available through many different social media platforms that uses information that you provide about your current customers to target ads to go to people who also fit those demographics. Being able to put your ad videos in front of the people that actually fit your target audience dramatically increases the effectiveness of every campaign. Hiring procedures tend to involve a large amount of time and expenses when you want to hire only the top people in the industry. 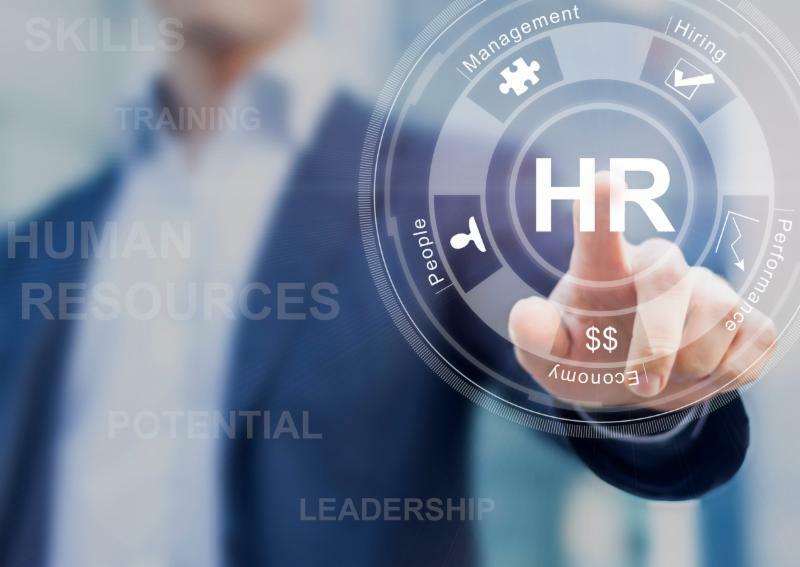 Now, you can cut your human resources departments work in half by using AI to screen candidates by running through their resumes and asking simple interview questions. AI can also help your business retain top talent by giving them access to information using chatbots in a way that is similar to the strategies used for customer service. AI doesn’t have to be complicated. In fact, using it to streamline your company’s sales and marketing processes allows for greater growth potential. Try starting out simply by experimenting with software that automatically connects with your customers or that analyzes the current data to make predictions about future sales. Then, make it a point to stay up-to-date on the latest advances in AI technology so that you can continue to add them to your company’s plans. Customer reviews have become one of the most effective marketing tools in recent years, and you should expect that prospective clients and customers are going to check to see what other people have to say about their experiences. Nowadays, 92% of consumers read online reviews, whereas only 88% did in 2014. In addition to driving more people to your website or store, customer reviews can also help to push your business to the top of the list on major search engines. While you may know how important reviews are to your business, you may still struggle with getting people to actually leave their opinions about your business. These expert strategies are designed to get customers to start leaving reviews that vouch for your brand’s superior products and services. Start your review increasing mission by gathering some information about how your customers currently interact online. Web analytics provide insight into which social media platforms and search engines are bringing people to your website, and this information helps you plan where to start your campaign to increase reviews. Once you know where your target audience goes, set up profiles on the major platforms. For example, you may prefer to entice people to leave reviews on LinkedIn if your main focus is B2B sales. Alternatively, you may want to set yourself up on Yelp or Google Local if you need reviews for your restaurant. Just as location is everything for brick-and-mortar businesses, you need to remember that your customers will be more likely to leave reviews if they are already on a specific platform. One of the best ways to get positive reviews is to ask customers for them when they are having an excellent experience. Train your sales team and customer service representatives to remember to mention the opportunity to leave a review shortly after a person has received a service. While you should never pay customers for their feedback, you can use incentives to reward your employees for seeking reviews. For instance, you could start a company contest to see who gets the most positive reviews within a week. You could also read a few rave reviews during your next company meeting to highlight how great it feels to read positive feedback from your customers. You’ll be surprised at how many reviews you receive when you just ask your customers. Most people don’t mind helping out your staff after a job well done when they know where to go to leave a review. Too often reviews are thrown into the online atmosphere and nothing ever gets done. You’ve also likely heard tons of advice about how to spin negative reviews into a chance to highlight your company’s focus on improving customer service. However, very little attention gets paid to the power of extending a review into a conversation. For instance, asking a customer who simply added five starts to a review what they liked about their experience encourages them to leave further feedback. You can also encourage reviewing customers to come back and try a new product since they are more likely to leave another review that increases the amount that shows up during searches for your company profile. The best customer reviews are those that are spontaneously posted after someone is motivated by a positive experience. Yet, most customers still need a little nudge to get them to leave feedback online. Now that you’ve got a few ideas for encouraging customer engagement, get ready to read and respond to the newest reviews to encourage the cycle of business growth to continue. Growing a small business takes hard work, dedication, and willingness to think outside the box. Yet, there comes a point when you need to search outside of yourself for solutions to common issues that slow the growth of your business. 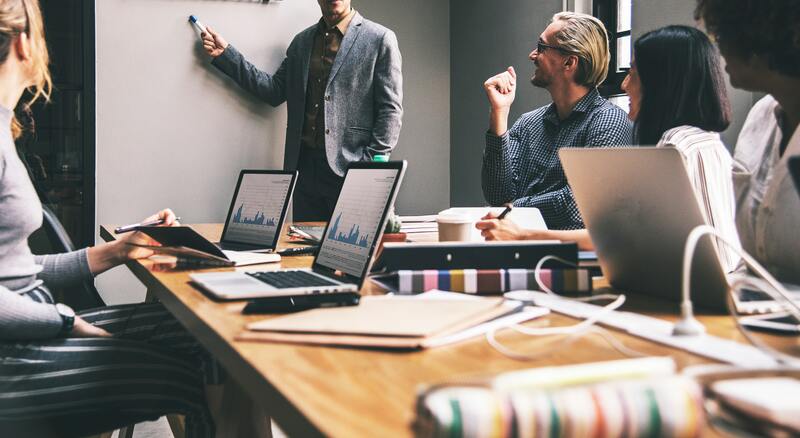 Fortunately, new technology is constantly being developed to fit the needs of business owners, and you can use these strategies to begin to take full advantage of the options that best fit your company’s needs. In-office tasks are easier to manage now that technology provides solutions for common problems. For instance, your sales team can use mobile printers to quickly print out critical documents such as contracts for their customers to sign. 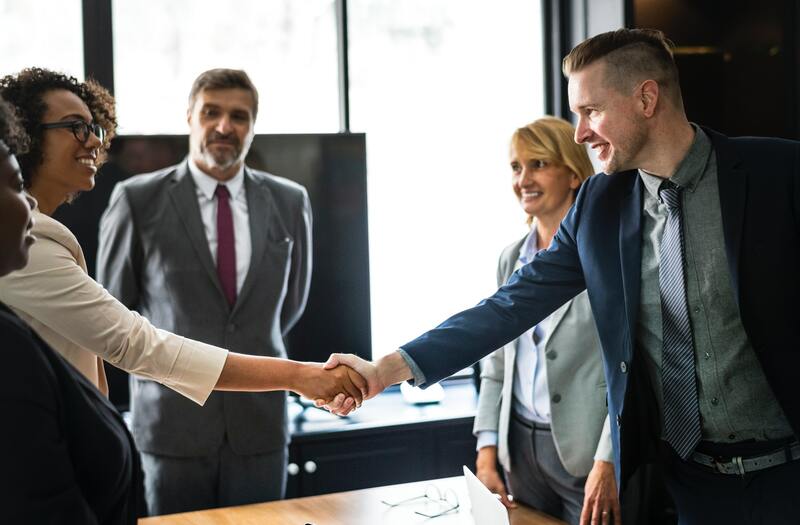 Being able to put your sales force out into the field more allows them to continue to bring your company’s products and services to a larger market. With more customers spending time online, your company website must be viewed as an extension of your storefront. For an internet-based company, your website is the only thing that a customer may see before making a purchase. Website analytics allow you to see the effectiveness of your online presence so that you can make changes to bring in more customers. For instance, you may need to alter the keywords that you use in the content, or you may need to make it easier to navigate through each page. Sure, Facebook and Twitter have long been viewed as a way for people to connect with their friends and family. However, small businesses can use savvy marketing skills to incorporate their brand into these conversations. Set up a company profile on a social media platform that tends to attract your customer demographics. 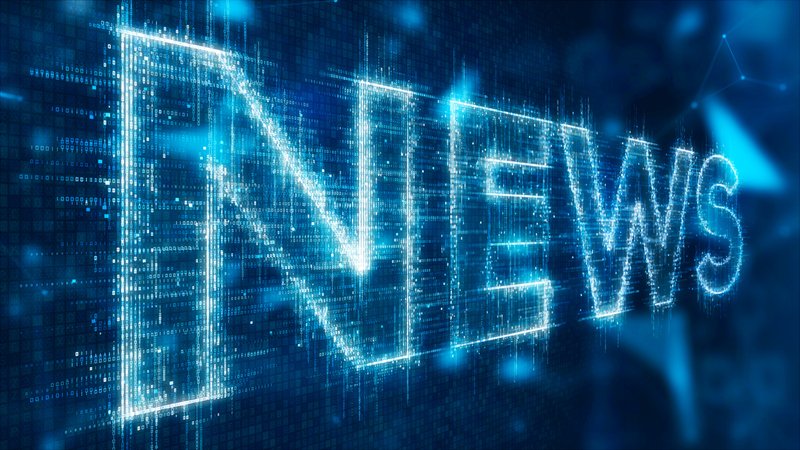 Then, send out occasional updates about newsworthy events in your company. Giving customers insight into a new product or how you perform certain services keeps your brand on their mind. You can also consider every shared update to be free advertising that helps to drive your company’s growth. Your small business must be taking advantage of online marketing opportunities or you are leaving money on the table. However, there are so many different types of online marketing options available that you can quickly lose sight of what actually works. With marketing software, you can use strategies such as geo-targeted advertisements to get your message out to the exact customers that you want to attract. Then, you can use the software to find out which methods are successful so that you can continue to build upon what is proven to work. Projects that involve multiple people such as a sales team, independent contractors, and supervisors, are vulnerable to issues that arise from miscommunication that can kill your profits. With project management software, your business benefits from giving everyone access to things such as shared schedules and note taking systems that serve as a central hub. When your team finishes projects faster and with more accuracy, you can expect to watch your customer base grow. As you work to incorporate new forms of technology into your business model, remember that growth sometimes involves a few bumps along the way. Be sure to work with your team to analyze what works so that you can adjust your plan accordingly. With a little flexibility and willingness to try new things, you will see your business begin to flourish in no time. Ann Marie Belasco and son Anthony are the owners of Dingman’s Dairy in Paterson, NJ. The company currently employs 50 men and women in sales, office, customer service, warehouse, and delivery positions. The Dingman family opened the business in 1955, and sold it to the current owners in 2007. Since the purchase, Dingman’s Dairy has grown from 4 delivery trucks to 17, and sales have increased five-fold. As its name might imply, Dingman’s Dairy is a distributor of ice cream, ice cream mix, frozen yogurt, frozen desserts, cones, toppings, syrups, inclusions, sprinkles, paper goods and other related products. Customers include ice cream parlors, yogurt shops, restaurants, catering facilities, schools, hospitals, nursing homes, and convenience stores. Major and more notable customers include Bodegas, Dairy Queen, Met Life Stadium, Sesame Place, Miami Seaquarium, Great Adventure, Jones Beach (NY), Santa Cruz Boardwalk (CA), local carnivals, the New Jersey State Fair, and many special events in the tri-state area. With the Center’s help and advice, Dingman’s expects to grow the business 15 percent in 2018 by adding new product categories, expanding sales areas, new sales personnel, and better marketing strategies. They are also adding a marketing specialist and hiring other personnel. Of great importance is the fact that the Belascos recently purch-ased land adjacent to company headquarters. The company will be building a state-of-the art distribution center to further enhance customer services and bolster product and sales growth opportunities. Founded in 1982 by Harry Stout III, two generations of family management and an exceptional employee base at Stout’s Transportation are driving the future of motor coach travel in the Northeast. Company President, Tim Stout, along with brothers, Shawn, who heads business development for the medical transportation division, and Harry, Stout’s safety director, manage the 100-plus employee, family-owned business. This ground transportation and tour operation business has been built on talents, skills, and a team of a well-seasoned staff, augmented by a cutting-edge fleet and a customer-focused culture that positions their brand ahead of their competition. The 60-year Trenton-based Stout’s has locations throughout the state of New Jersey and serves key markets within the tri-state New York, New Jersey, and Pennsylvania area. Their predominantly Van Hool fleet consists of 76 vehicles: 38- to 56-passenger motor coaches for tour and charter excursions; 29-passenger shuttle transport vehicles; 16- to 20-passenger para-transit specialty vehicles for private contract service, and DOT-approved, school and transit buses. Since 2015, Stout has worked with the NJSBDC at TCNJ consultants, receiving assistance and training in a wide range of areas and services, including: Financial recordkeeping design and reports; financial report analysis using QuickBooks; digital media/website design and marketing; catalog design and marketing; company branding; and extensive industry/ geographic/demographic/psychographic market research. 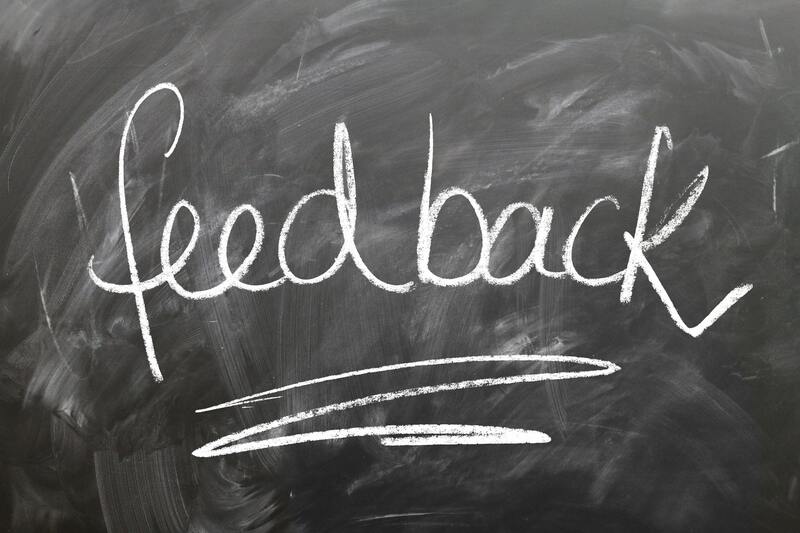 The NJSBDC at TCNJ is proud to have served as a “go to” feedback resource for Stout’s Transportation on operational issues from marketing to financial operational issues. As the business evolves, Stout’s leadership continues to focus on best business practices and technology improvements that will enhance operational efficiencies. Their latest implementation of the Zonar fleet management mobile platform is critical in helping the company remotely monitor fleet and driver performance, and enhance fleet maintenance. Additionally, the system supports automated processes, effectively reducing paperwork and record storage, which are also key priorities within Stout’s “green culture.” Their state-of-the-art 8,000-square-foot office building features energy-efficient utilities and an environmentally friendly heating system utilizing waste oil as fuel. With a strong and growing infrastructure, healthy market share, and sales and marketing efforts focused on new and emerging markets, the company is actively seeking growth, and the timing is perfect for acquisition. Stout’s Transportation has positioned itself as a leader in the transportation industry, well prepared for the next 60 years of growth and expansion. Holly Kaplansky is the owner and chief executive officer of Minuteman Press, a 100 percent woman-owned printing and marketing company based in Newark. Holly started Minuteman Press in April 2005 after leaving the corporate world, where she had extensive experience in advertising and marketing. She realized that the skills she had acquired in managing and running corporate businesses, such as marketing, finance, operations and management, would be a perfect foundation to start her own business. Of prime importance to Holly and Minuteman Press is their reputation for exceptional quality, quick turnaround, on-time and on-budget delivery, and most important, personalized customer service, the latter of which has helped Minuteman Press stay competitive in an industry where people can do their own printing on-line, at home or in their office. In addition, the company’s personalized consultation services allow clients to understand all the design and printing options available to them whether they work with Holly and her staff in the store, by phone, or at their business site. Since Minuteman Press started as a client, supporter and collaborative partner of the SBDC at Rutgers-Newark, annual revenue has grown to nearly a million dollars, and staff has increased to one part-time and three full-time employees. Holly is an active participant in the training and technical assistance services the Center offers, such as the Women Entrepreneurs’ Networking (WEN) Business Breakfast, the Rutgers Business School/SBDC Student Experiential Learning Programs, After Lunch Webinar Series, the Business Bazaar Pitching for Contract and Capital Event, and many more. “Every time I attend one of these events I learn something new, no matter how small, that has helped me grow my business!” She completely understands that business development is just as important as business management. In addition to looking for ways to grow her own business, Holly is heavily involved with helping other business grow. She is a very active advisory board member and ambassador of the NJSBDC at Rutgers-Newark, having contributed hundreds of pro-bono hours to the Center in that capacity. She is also Immediate Past President of the North Essex Chamber of Commerce, President Elect of the State Board of NJAWBO (New Jersey Association of Women Business Owners), Advisory Board Member of the EPI Alumni Association of the Rutgers Center for Urban Entrepreneurship & Economic Development, Founding Board Member of New Jersey LGBT Chamber of Commerce, Former President of the New Jersey Chapter of the Association of Women in Communications, Member of the Newark Regional Business Partnership, and a Leadership Newark Fellow, Class of 2010. She is a tireless advocate of the small business community in so many ways. We are proud to have Minuteman Press of Newark as our 2017 Success Award Winner. Greycell Labs, Inc. was established in 2004. They are a leading IT firm that provides a variety of technology-based services and solutions including IT consulting, business and technology services, custom software design, development, testing, deployment, and integration support to fulfill the needs of local, regional and global corporations of any size. Greycell offers a suite of software services to help their clients increase process efficiency; enhance workforce productivity; reduce operating costs; boost employee and customer satisfaction; and enable better and faster decisions. Greycell’s owners, Dharmesh and Shweta Vachhani, have been clients of the NJSBDC at Rutgers New Brunswick since 2014. They were initially counseled regarding government contracting and certification as SBE, MBE, WBE and 8A businesses. They have regularly participated in Center workshops, seminars and other programs to help their business grow and prosper. More recently, the Center helped the firm develop its social media outreach, engaged the Vachhanis in its Managing Growth Ventures and other experiential learning programs. The firm has grown exponentially in both their domestic sales as well as their expansion into global markets. The Vachhanis now have 50 employees and have doubled their sales over the last two years. In fact, Greycell has been recognized as one of the fastest growing firms in the USA. They were also ranked as #139 among the fastest growing firms out of 500 in New Jersey. Greycell has recently established a development center in India, which will be the headquarters for their Mobile Apps and Cloud/Big Data services. They are working on expanding the company’s presence in other countries as well. After 29 years of commuting into New York City and working long hours as a chef, Tim Smeltz was ready for a change. Inspiration came when he couldn’t find a local company to sealcoat his driveway. After investigating, Smeltz purchased an American Asphalt Sealcoating franchise in 2006. Although new to self-employment, he knew he needed a business plan and contacted the NJSBDC at RVCC. Counselors Vicki Lynne Morgan and Karen Katcher helped him develop a business plan, and counselor Bob Bilarczyk helped with his certification as a NJ Small Business Enterprise (SBE). Because sealcoating is a seasonal business, Smeltz quickly encountered a critical challenge: Retaining valued employees during the off-season. His solution? He bought a residential decorating business franchise, Christmas Décor, in 2007, to provide employment year-round. Since then he has successfully expanded his Christmas Décor’s Somerset County territory to include Hunterdon and Morris counties in New Jersey and Bucks County in Pennsylvania. In 2009, another opportunity presented itself when a prospective sealcoating client who owned a daycare center specified that any sealcoating on his property must not contain coal tar, a suspected carcinogenic. Knowing this was a growing concern, Tim decided to break from his franchise and venture off on his own to find a better, safer product. It was a big decision, so he met with Regional Director Bill Harnden several times to discuss his options. During this period, he discovered a company using an innovative sealcoating mixture; bought exclusive rights to the product; and further developed it to meet his needs. With a new formula, solid infrastructure and seasoned employees, he was ready to create his new business–and the Great American Sealcoating Company was born. In 2017, Smeltz returned to the SBDC at RVCC to learn about financing options for expansion into New York, Maryland and Pennsylvania. As a result, he and Bill Harnden are meeting with several SBA lenders to develop a loan package. With his innovative, problem-solving approach, and willingness to venture into new areas, coupled with the counseling services of the SBDC, Tim Smeltz has grown from a single, local operation with sales of $200,000 to a dual-business, multi-state enterprise with eleven employees and sales of over $1 million. Concerning the support he has received over the years from the SBDC at RVCC, Smeltz says, “It is exceptionally nice to have a resource that can help me grow and act as a sounding board when making important business decisions.” With firm plans in place for improving, growing and innovating, Smeltz is paving the way for continued business success — and the SBDC at RVCC looks forward to assisting him in reaching his goals. Maria Gutierrez arrived in New Jersey as a teen from Medelin, Colombia. She and her family were in search of opportunity and the American Dream. Her ambition and desire for success formed at age 17, when she opened her first clothing store. Sixteen-hour workdays and two-hour bus rides became a normal routine. Long days and expensive business lessons were met with even more drive and the discipline to continue moving forward. In 2011, Ms. Gutierrez wanted to grow her clothing business and sought the assistance of the NJSBDC at New Jersey City University. Business consultant Ryan Silvestre advised Maria on her business structure, organizational skills, time management and financial arrangements. This extra insight into her entrepreneurial efforts led to conversations about expanding and possibly purchasing a new business. With help from the NJSBDC on valuation modeling and due diligence, a decision on building a new business was made. With proper planning, and a creative debt structure, Ms. Gutierrez was able to secure the capital needed to open Maria Mentiras Bar and Grill, LLC. Now one of Hudson County’s premier restaurants, Maria Mentiras, as the regulars endearingly call it, provides Latin fusion dishes, along with unique specialty cocktails and live music. A staple of Union City, New Jersey, Mentiras Bar & Grill draws a local crowd as well as patrons from many of the neighboring cities. Since opening, Ms. Gutierrez has been able to create over 20 restaurant jobs, in addition to internship opportunities. Most recently, Ms. Gutierrez and the NJSBDC at NJCU have worked on a marketing and social media plan utilizing another SBDC client to assist her in its execution. NJSBDC at NJCU also assisted Maria Mentiras, LLC in upgrading from its paper method of bookkeeping to QuickBooks online. The results were greater efficiencies in time and cash flow management, which allowed her to capitalize on new business opportunities. Traditional approaches of bankability made it impossible for her to secure a commercial mortgage; however, with these interim financials, she was able to structure a private mortgage for the acquisition of two buildings for $1.2 million, and the purchase of the buildings housing her restaurant. In addition to the success of Maria Mentiras Bar & Grill, Ms. Gutierrez continues to grow her clothing store and multiple other businesses. Her newest venture is a gourmet fast food business with franchise potential. Salsa Arepa is scheduled to open later this year at the very exclusive Westfield Garden State Plaza in Paramus, following completion of a $250,000 construction project. This truly long-term client has collectively created over 40-plus jobs and facilitated over $2 million in capital infusion invested in her businesses. 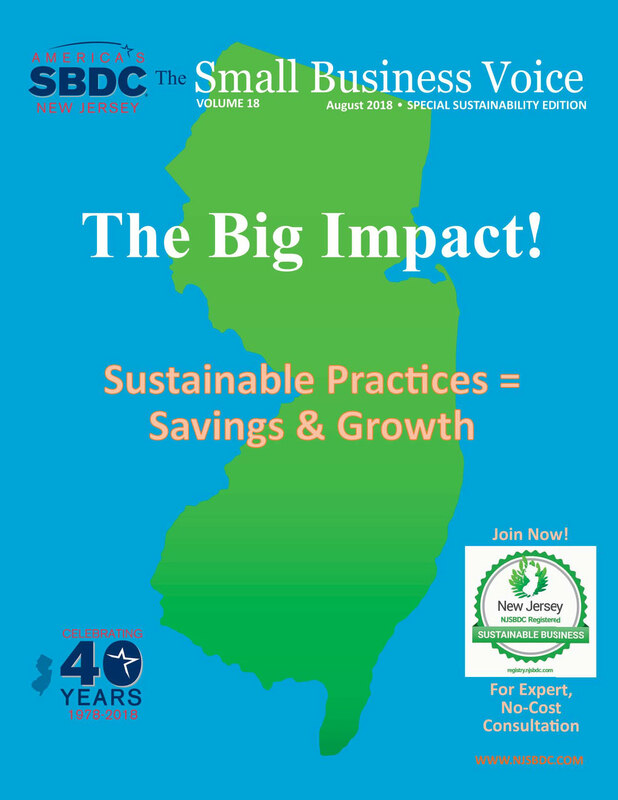 The NJSBDC at NJCU will continue to provide support and guidance as the Center assists her in developing strategic plans concerning business sustainability and expansion. Over the years, Dulce grew the ILC business to be very profitable, employing over a dozen people. However, as times change, the marketplace requires entrepreneurs to adapt, recreate, and often reinvent themselves. The SBDC at Kean University has been working with Dulce for several years to help her with an array of business issues in order to keep up with the dynamics of the marketplace. Since Dulce’s businesses are service-based, word of mouth and referrals proved to be a good source for generating new clients. Here again, Regional Director Dave Margulies worked with Dulce to perfect her “ask” and suggest places and events to attend for the most effective networking. Tim Vazquez is the owner and chief instructor of the Aikido Center of Manasquan. He is a retired police officer, self-defense instructor, and an NJ State licensed Security Instructor. Tim became a client of the NJSBDC at Brookdale Community College after attending one of the center’s no-cost, high-impact Bootcamps. There was a lack of traffic to his facility (Dojo), and he needed assistance quickly. Tim did some research and found NJSBDC at Brookdale. On June 2, 2016 he took the Center’s “Social Media Bootcamp” course that took him to the next level in social marketing. He subsequently enrolled in two workshops, “Running a Successful Crowdfunding Campaign” and “Intro to Blogging,” increasing his proficiency with social media and website management. Tim took the knowledge and skills he developed during the workshops and implemented a proactive strategy. Employing a disciplined, innovative, and consistent approach, Tim is reaping the benefits of applying all the techniques that he learned in the courses. He redesigned all his social networks and website to make them mobile compliant, and started an AdWords account with Google. He even started blogging! Did it work? A delighted Tim states “I can tell that all the steps I took resulted in new traffic to the Dojo.” Not to stop there, Tim started and launched an app that is available on Google and the Apple store – “Aikido Manasquan”! Tim has increased traffic and sales by more than 10 percent, which for his highly competitive industry and market is exceptional. The use of online advancements, social media, and updates to his website have enabled him to continue to grow his business even when the dojo is closed. Arable is a data and analytics company reducing risk in the food and agriculture supply chain. Their flagship product, the Mark, is a low-cost, highly connected solar-powered sensor that continuously and precisely measures more than 40 different, relevant data types regarding plant, light and weather conditions. The data enable farmers and agribusinesses to better assess crop status, forecast growth, predict yields and improve decision-making. Customers are able to better manage resources in real time and make decisions that enable them to increase revenue through better forecasts of harvest timing, yield, and postharvest outcomes. The Mark hardware was designed in collaboration with the designer of the GoPro camera and Nest learning thermostat. Company Founder Adam Wolf was a Princeton University post doctorate candidate when he participated in the National Science Foundation’s Innovation Corps Teams Program (I-Corps). The purpose of the program is to identify National Science Foundation/NSF-funded researchers who will receive additional support, in the form of mentoring and funding, to accelerate innovation that can attract subsequent third-party funding. Through their participation in I-Corps, Adam and his team decided to pursue SBIR funding. Arable’s I-Corps mentor referred them to NJSBDC’s Technology Commercialization Consultant, Randy Harmon. Randy reviewed, critiqued and made suggestions for strengthening Adam’s draft NSF SBIR Phase I proposal, which was submitted in June 2015. Adam received word in December 2015 that the $150,000 project had been approved for funding. He then applied for and received $20,000 through NSF’s Phase IB program, which is intended to provide supplemental funding between the completion of Phase I and Phase II. Upon successfully completing the Phase I project, Arable submitted a Phase II SBIR proposal at the end of August 2016 NJSBDC Consultant, Randy Harmon, assisted the team in the preparation of the Phase II technology commercialization plan. Arable was able to successfully leverage their Phase I and IB awards to raise $2.6 million in venture capital which closed in February 2017. Upon successful completion of a pre-award audit and administrative review, Arable received notice of a $750,000 NSF Phase II award in April. According to Dr. Wolf, the assistance provided by NJSBDC through Randy Harmon helped Arable win SBIR Phase I and Phase II grants and the validation provided by the Phase I award helped raise their equity financing. An opportunity exists to apply for additional NSF funding after Phase II ends. The Arable Insights platform, supported by the Arable Mark, is already generating revenue. Customers include Driscoll’s, Treasury Wine Estates, and Valley Irrigation. The Arable vision is to help enhance a customer’s sound decisions-making, mitigating risk in food production systems. Founded in 2004, Consolidated Packaging Group, LLC manufactures flexible packaging solutions at its SQF Level 2 certified 117,000 square foot facility in Ridgefield Park. Led by Executive Vice-President Gary Kaufman, CPG offers rollstock products, stand up pouches, quad seal pouches, laser scoring, pre-zippered films, bag tops, zip lock poly bags, and more. The company also provides laminated rollstock of film structures; and high barrier films, puncture resistant films, self-venting microwavable films, and films for frozen food applications. In addition, it offers pre-press, HD color printing, lamination, and slitting services. The company serves customers in industries or markets relating to food, frozen foods and vegetables, processed and fresh meats, consumer products, personal care, tissue overwrap, sanitary products, lawn and garden, household chemicals, mulch and soils, pet foods and treats, cat litter, and medical packaging. CPG and its 125 employees are committed to creating packaging that minimizes environmental impact. During the manufacturing process, Gary strives for maximum conservation of raw materials and minimization of related waste, production processes, and energy consumption. Wishing to expand his business as well as his distinction as a leader in sustainable practices, Gary has met with NJSBDC at Ramapo College Regional Director Vince Vicari to discuss plans to increase CPG’s marketing and branding. mising on the package’s durability, performance, and appearance. CPG also resells or reprocesses a majority of the polyethylene trim materials that are a by-product of the manufacturing process. In addition, they recycle many commonly used materials, such as cores, pallets, scrap metal, and all corrugated paper products. Gary estimates the annual number of pounds saved at over 280,000 – in addition to reductions in the cost of packaging, transportation, and energy consumed in the manufacturing process. Dollar savings can also be found in CPG’s lamination division, where it has replaced all solvent-based adhesives with more environmentally-friendly technologies. Similar efficiencies also extend to re-cycling and reclaiming solvents in their Flexographic printing process, resulting in a savings of $225,000 per year. To reduce energy usage even further, CPG replaced high intensity discharge lights with more efficient fluorescent and LED lighting; installed controls that turn lights on only when rooms are occupied; adjusted specific compressed air settings to lower the consumption of electric-drive power; installed variable speed drives on oxidizers to reduce the volume of natural gas required for incineration; and, installed a recovery system to capture waste heat.